VRC’s team of veterinary specialists have performed thousands of procedures and offer a multitude of advanced procedures to enhance or save the life of your pet. VRC’s team of veterinary specialists have performed thousands of procedures and offer a multitude of advanced services to enhance or save the life of your pet. 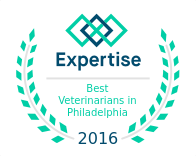 We collaborate closely with your family veterinarian to provide a timely and accurate diagnosis as well as recommendations for the best treatment options for your pet. To view a list of Frequently Asked Questions regarding surgery at VRC, click HERE.